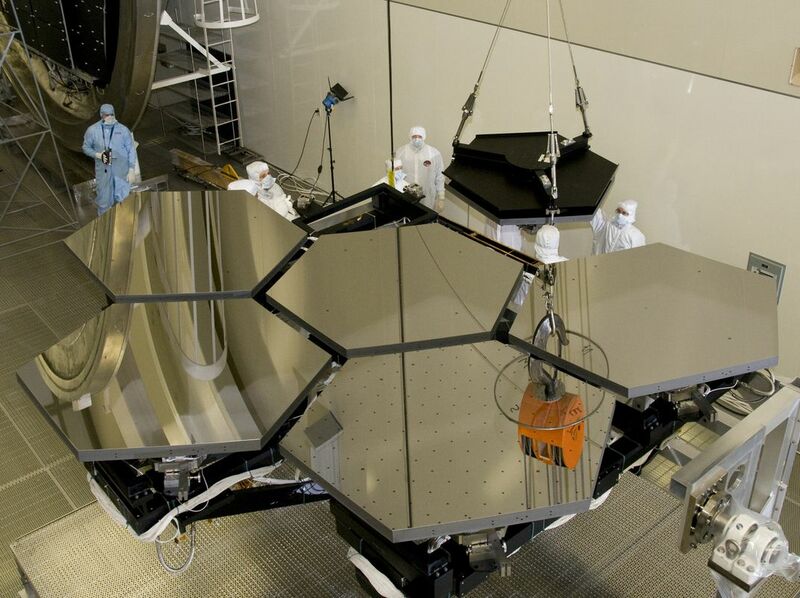 The James Webb Space Telescope will see out to the universe’s edge. On a rainy Monday morning in early 2014, Senator Barbara Mikulski of Maryland joined NASA Administrator Charles Bolden on a stage at NASA’s Goddard Spaceflight Center in Greenbelt, Maryland, to congratulate the team building the James Webb Space Telescope on having cleared a hurdle familiar to anyone who’s just arrived home with a box of furniture from IKEA: making sure all the major parts are there. Video: How Does a Solar System Form? 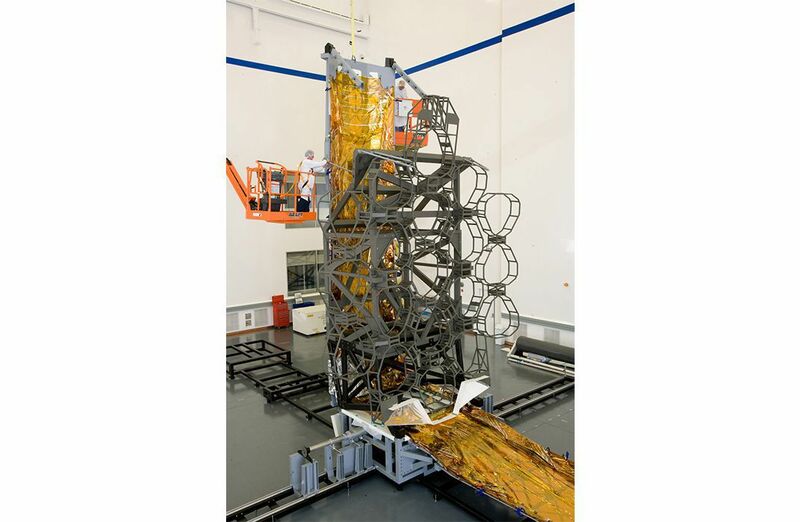 All four of the scientific instruments NASA’s new flagship observatory will carry—built by the European Space Agency, the Canadian Space Agency, the University of Arizona, Lockheed Martin, and NASA—had arrived. 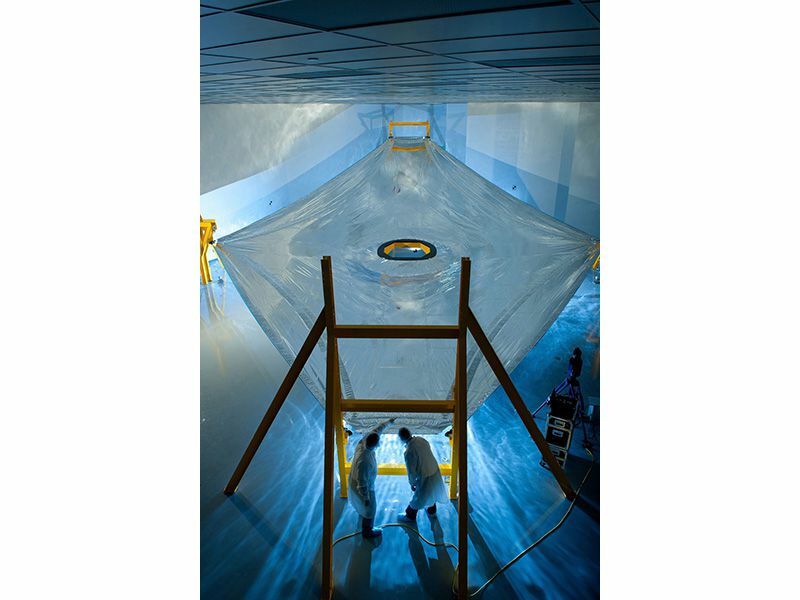 Ball Aerospace had delivered all 18 hexagonal segments of the observatory’s honeycomb-like, 6.5-meter primary mirror, designed to look into a past 13 billion years distant. 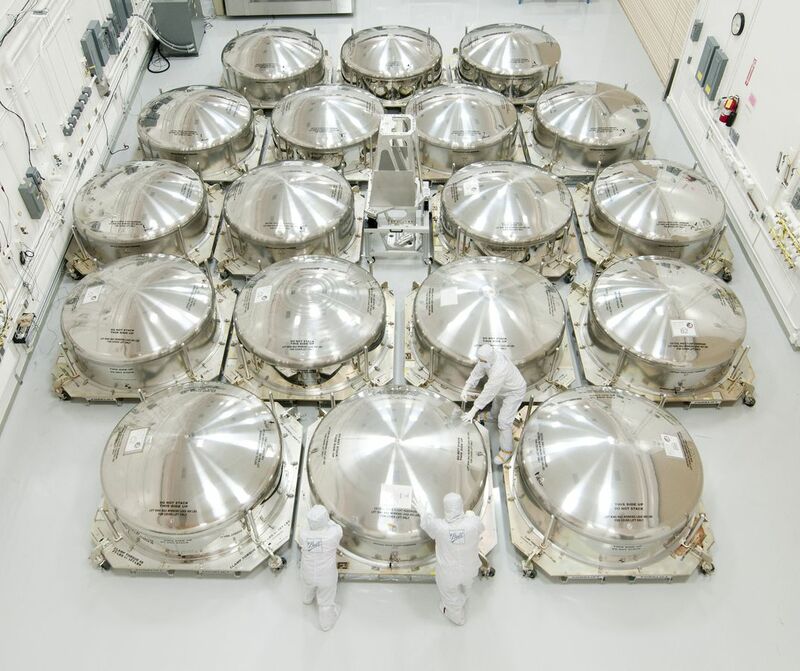 From an observation platform, you could see one of the mirrors on display in the Spacecraft Systems Development and Integration Facility, the largest clean room in the world. Others sat in their custom shipping crates, each one like a stove-top popcorn tin the size of a large kiddie pool. Two decades after astronomers first convened to discuss what sort of space-based observatory should succeed the Hubble Space Telescope, Hubble’s three-times-as-large, 100-times-as-powerful replacement, whose fabrication was overseen by primary contractor Northrop Grumman, finally seemed to be coming together. “Going from Hubble to the James Webb Space Telescope is like going from a biplane to the jet engine,” said Mikulski, who has long been the project’s strongest legislative advocate—and who four years earlier had called for an independent panel to uncover the causes of its delays and ballooning expense. That panel published its findings in October 2010, concluding that NASA had, in essence, requested an indie-movie budget to make a high-tech blockbuster. It praised the quality of NASA’s technical innovations while criticizing its management. NASA responded with a dramatic “re-plan,” establishing a schedule that now has Webb slated for launch in October 2018, at a grand total of $8.8 billion—more than eight times the amount NASA estimated when work began nearly a generation ago. 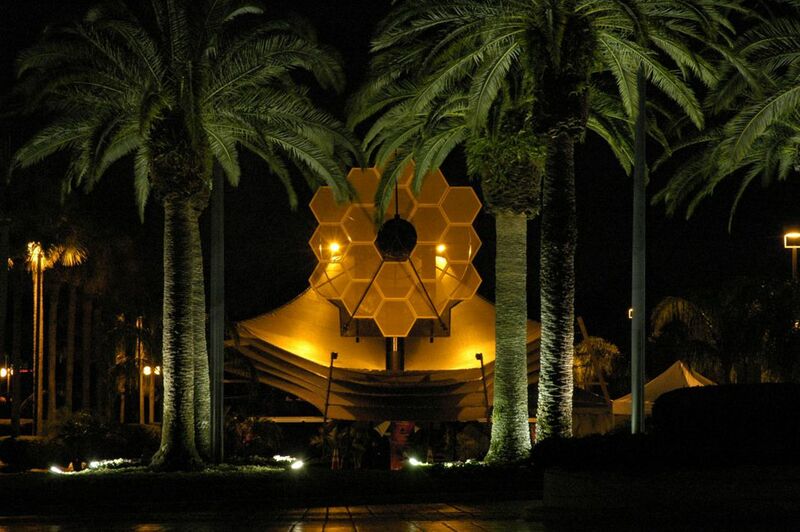 Or almost four years after the launch date anticipated by the decadal survey of 2000, in which astronomers named the Webb telescope their top priority. At least the launch has finally seemed to stop doing what the objects Webb was built to observe are doing—receding ever farther into the cosmic distance. 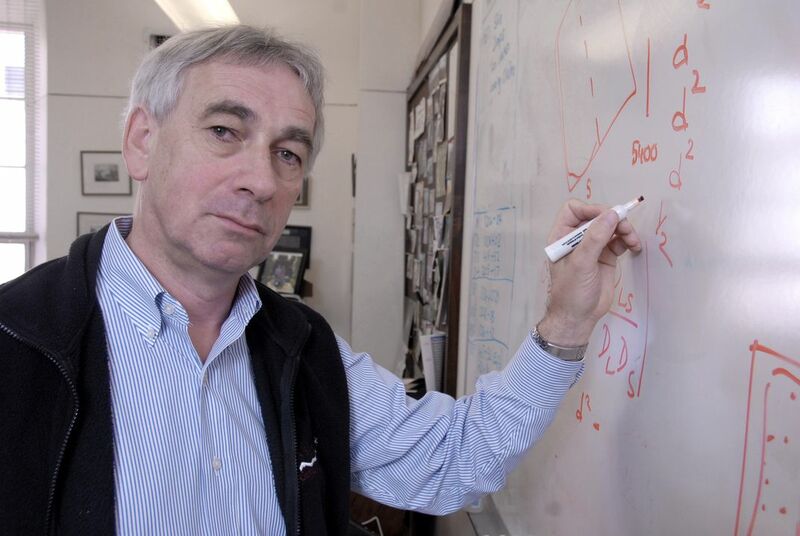 No one disputes that the Webb will be an extraordinary machine, one that will allow astronomers to look farther back in time than they’ve ever been able to see, to the earliest galaxies that formed after the Big Bang. 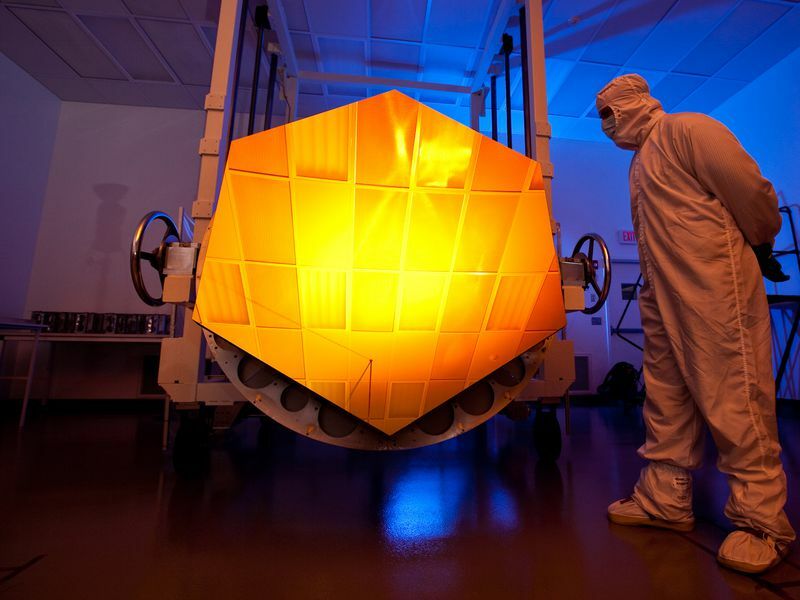 The gold coating on its mirror segments, totalling about a golf ball’s worth and spread in a thin layer across the surface of each segment, will absorb light on the blue end of the spectrum, allowing the observatory to see a bandwidth between 0.6 to 28 microns, firmly in the infrared and stretching just slightly into the visible spectrum. Scientists have known since Hubble was launched that its successor would need powerful infrared capabilities. 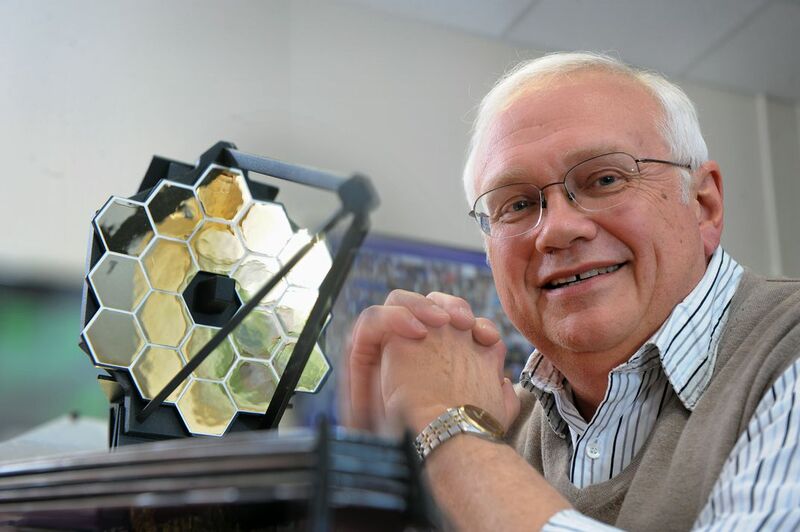 Advances in knowledge made during the Webb telescope’s long gestation—the discoveries of thousands of extrasolar planets, for example—have served only to underscore the scientific need for a cold, infrared-optimized observatory in space.